An established producer of high quality rugs, Bakero produce elegant and striking floor coverings in a wide range of different styles and designs. They began by specialising in Persian carpets selling them at trade fairs but have grown to be a market leader, producing beautiful quality rugs. They produce their own collections with antique and modern designs and they work with experienced craftspeople and manufacturers around the world. The Bakero range of rugs incorporates vivid and bold colourways as well as neutral and subtly designed patterns and designs. 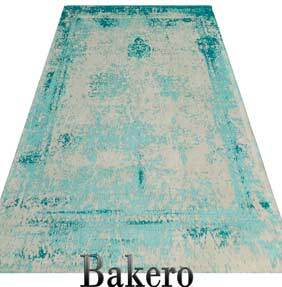 The wide range of rug styles means there is a Bakero rug for almost every room in every home and you can explore their collection here.